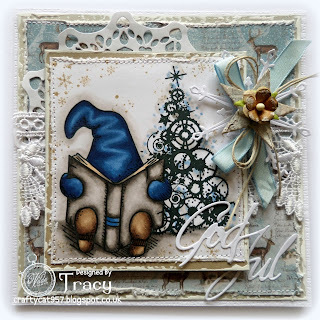 Gorgeous card Tracy! and I love the shades of blue for Christmas cards! This is beautiful in blue. Would you please share the colors you used?